WILL FOX NOW EXTEND ITS ANTI-HOLDER JIHAD TO TRAYVON MARTIN? 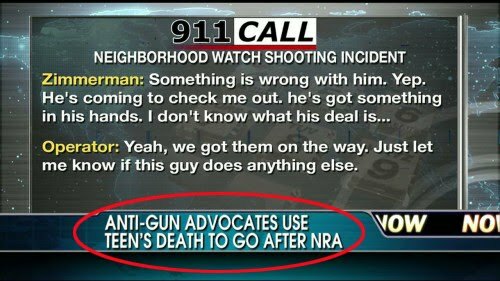 Yesterday, Ellen at News Hounds was noting that Fox News -- usually fascinated by crime and by any news story involving African-Americans -- seemed largely to be ignoring death of Trayvon Martin in Florida after he was shot by hero-wannabe George Zimmerman, the neighborhood watch cop manque who'd made 46 separate 911 calls in little over a year. But, well, what do you expect from Fox? The African-American in this case is the unarmed shooting victim, Martin; he's clearly the victim in this case, and no one's found anything to criticize about him. The U.S. Department of Justice's Civil Rights Division and the FBI will investigate the killing of Miami Gardens teenager Trayvon Martin by a neighborhood watch volunteer, the department announced late Monday. Fox News and its viewers hate the Obama Justice Department with every fiber of their being -- and now, for them, this case will be entangled with everything the right hates about the department, Eric Holder in particular. Does this matter? It might. If the Fox spin on the story gets traction outside Fox's own fetid demimonde, this could start to seem, at least to some people, like a case of "reparations" rather than an attempt to find justice in the aftermath of a delusional man's violent vigilante excess. Fox poisons everything it touches. Fox is a sociopathic news organization, indifferent to whatever suffering it causes in the pursuit of its joint goals, higher ratings and conservative dominance of America. Fox would trash Trayvon Martin's memory if it served the corporations purposes. I just hope that whatever's done in that effort is of interest only to the depraved core audience. Never forget, Fox is the media outlet targeted to the demographic best summed up as believing "The only good ____________ is a dead __________."